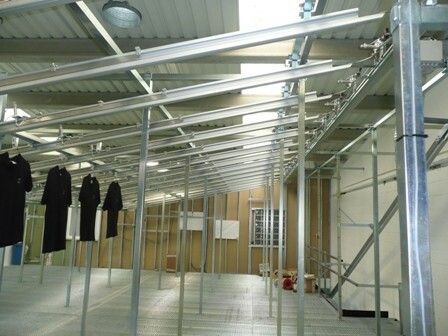 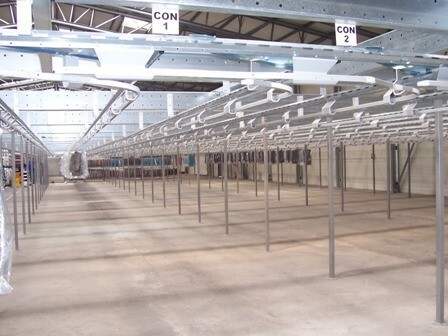 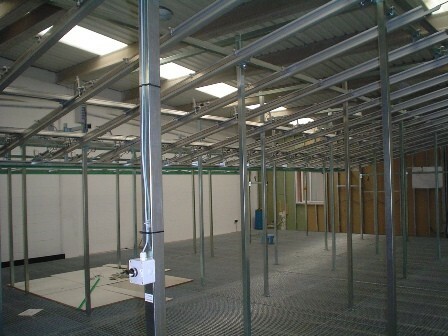 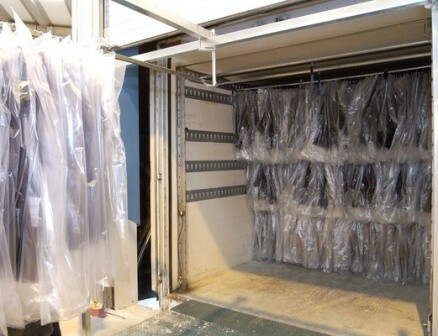 HANGERGLIDE has been developed to cover all aspects of Materials Handling through the Cutting room, Production floor, pressing section, inspection and bagging and into the warehouse. 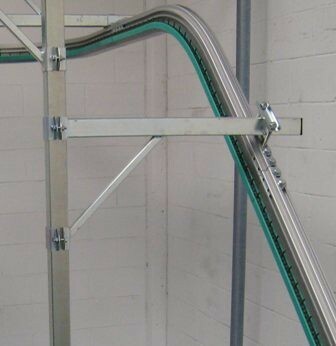 Our sorter systems feature both manual induction for normal induction rates as well as an automatic induction unit, which is required for high handling speeds. 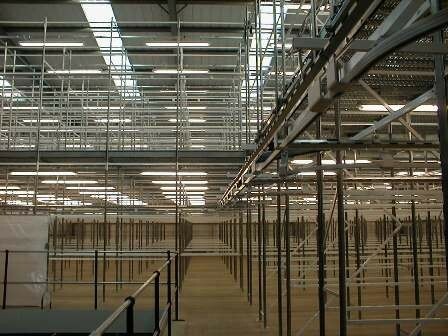 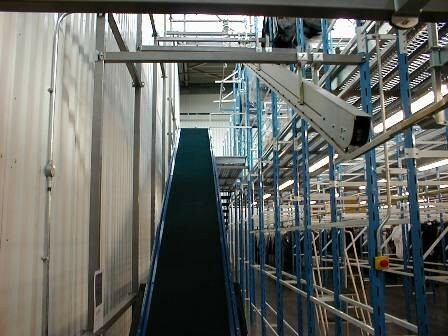 Speed of the sorters up to 6.000 units / hour. 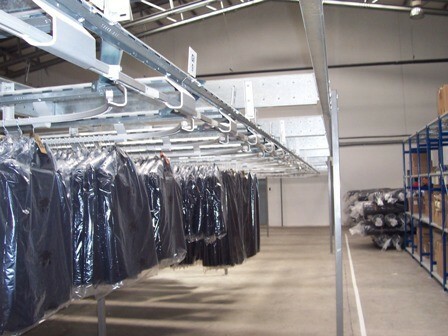 This type of solution is ideal on different type of industries: 3PL, laundry, distribution center etc. 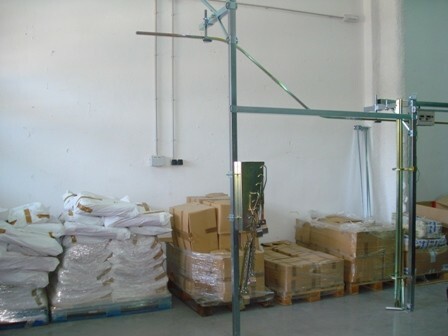 We also provide manual sortation under same principle but the sortation is done manually. 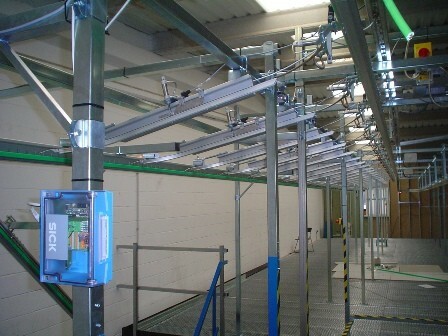 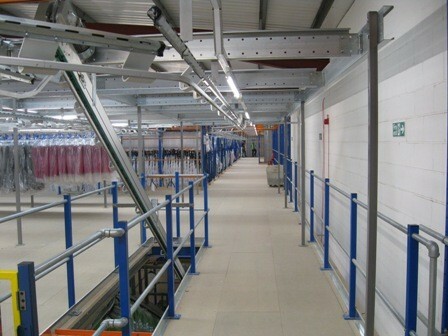 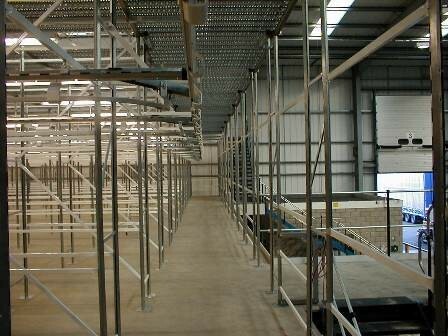 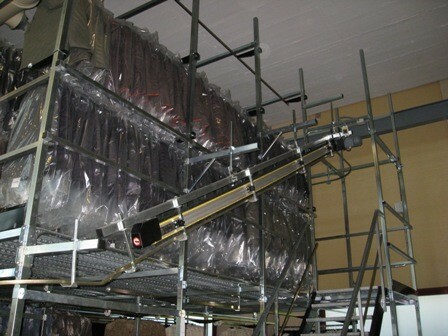 Our conveyors are famous for their strength, durability and low need for maintenance. 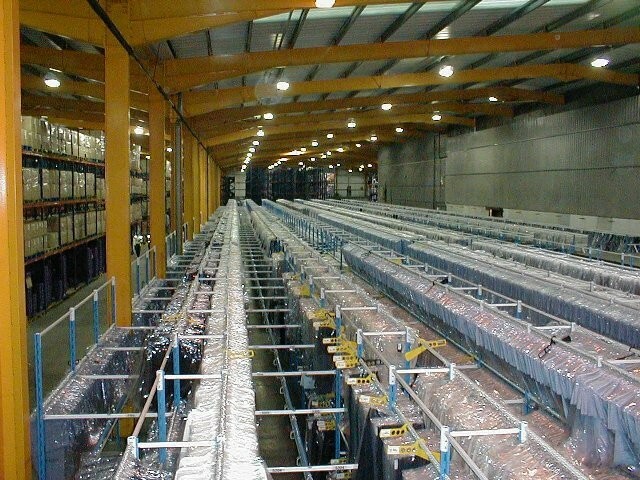 Our range of overhead conveyors include: incline conveyors, decline conveyor, clip conveyor, pin conveyor, screw conveyor, 2 way conveyor. 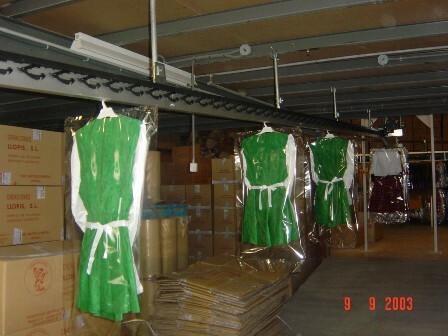 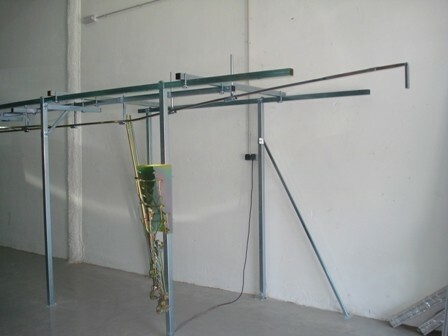 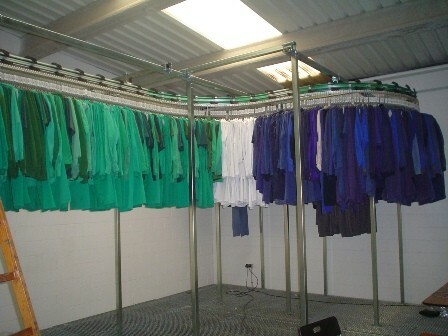 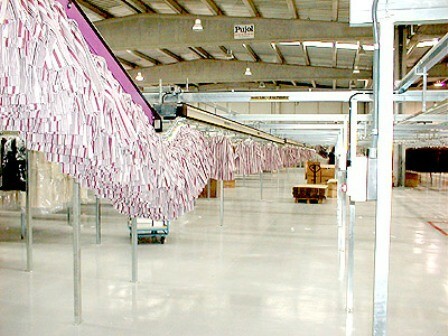 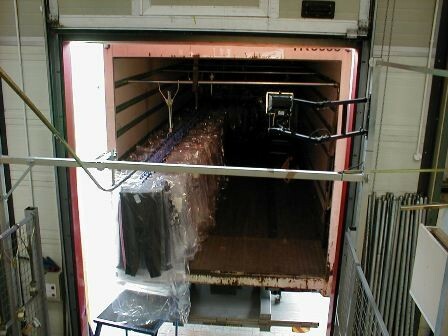 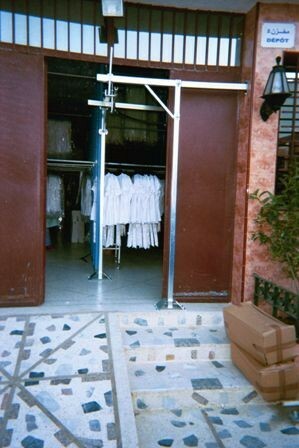 This is the easy way to load or unload a truck with hanging garments. 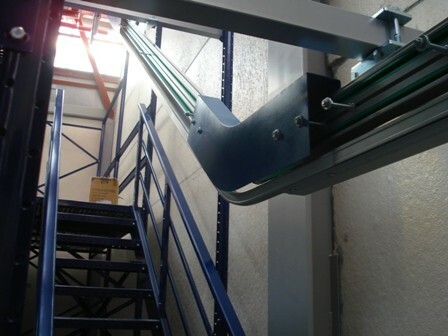 The telescopic system goes inside the truck with no limitation of distance. 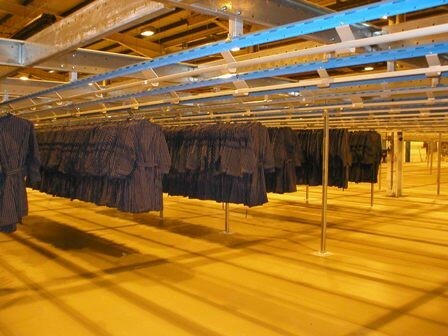 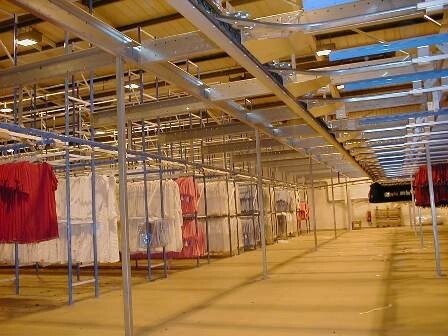 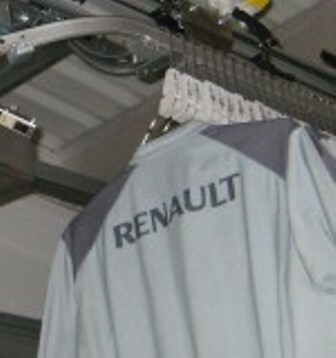 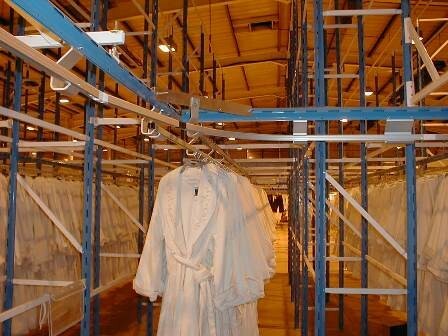 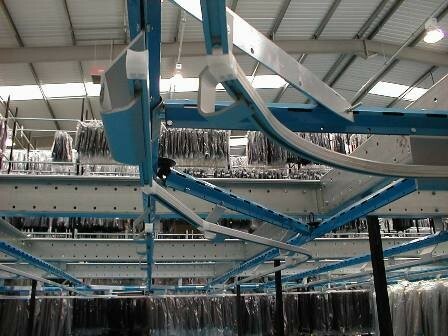 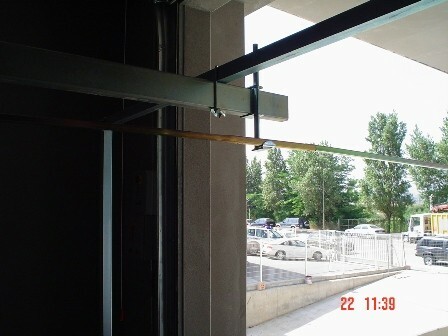 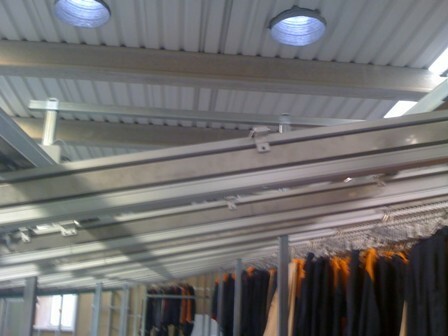 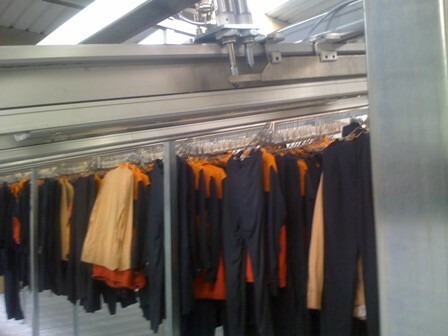 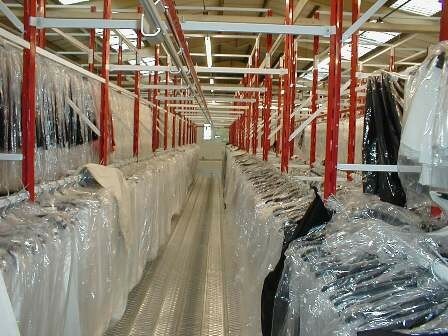 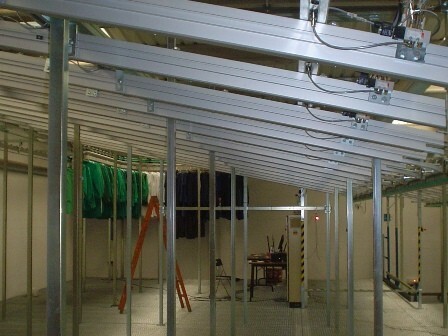 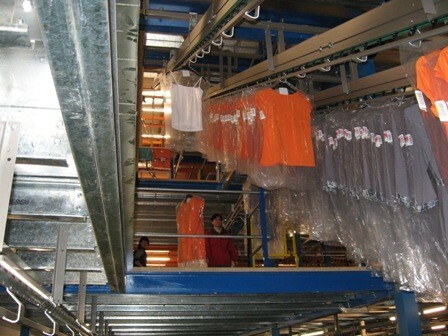 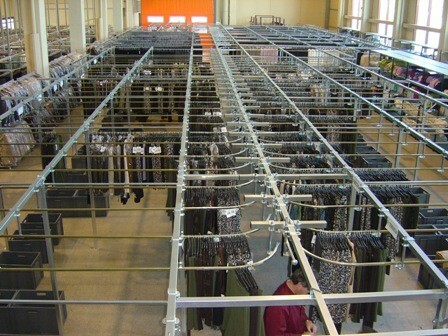 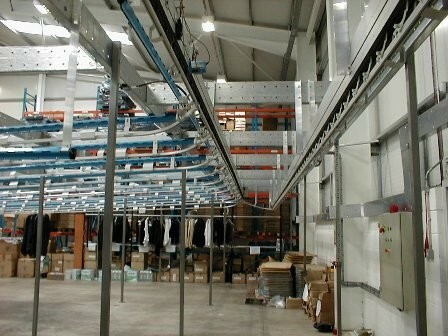 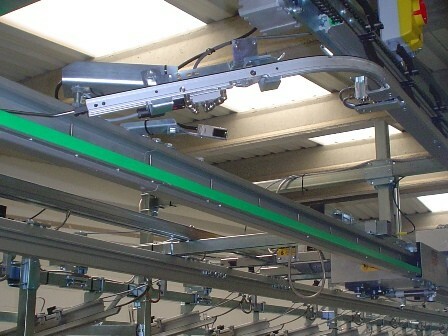 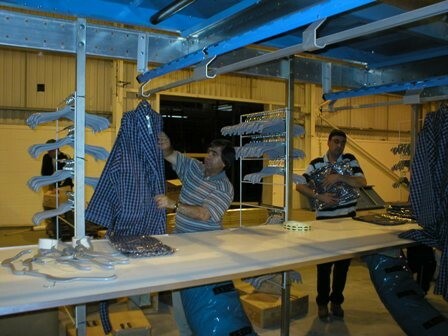 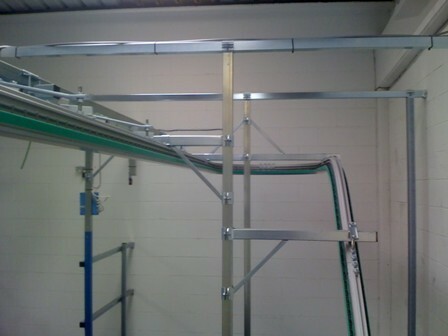 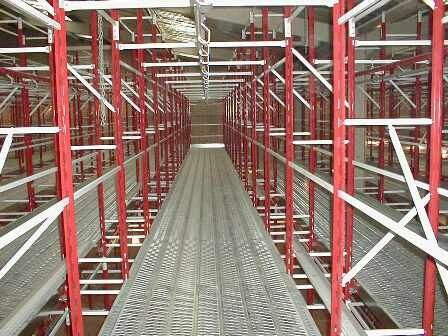 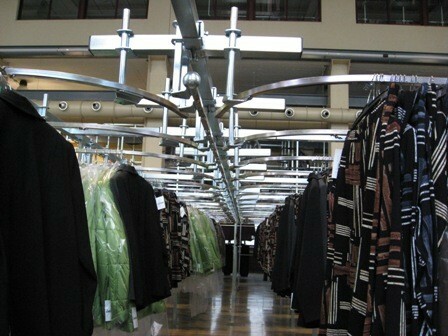 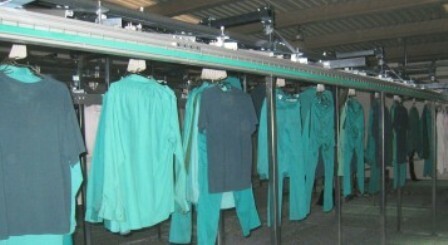 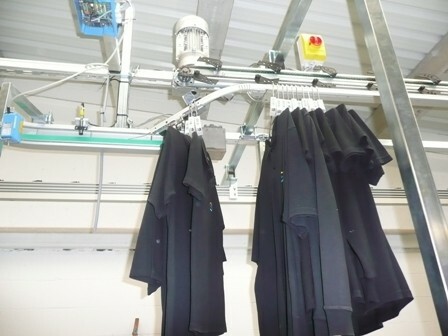 With this solution there is no need of trolleys, the garments slide on the hangerglide profile.